There is no more famous image of Hawaii than Diamond Head. In fact, many movies, television series, postcards and advertising have showcased this iconic volcanic cinder cone. Many tourists can readily see this famous geologic feature from Waikiki beach and hotels. However, most are not aware of how to uncover the secrets of Diamond Head. Diamond Head has a lot to offer both tourists and locals alike. For one, Diamond Head offers an outstanding recreational outlet for anyone who wants a brisk and stimulating 30 to 45 minute hike. This hike will take you from inside the crater to the summit. To get there, you can take 5 to10 minute car or taxi ride from Waikiki into the crater through a tunnel along Diamond Head Road. You can even take the bus which stops a short walk away from the tunnel. Once you’re in here, you will be in Diamond Head State Monument. There is a modest fee charged for parking in the lot. From the parking lot, there is a moderately winding trail that heads up along the inside rim of the crater. View from the summit of Diamond Head. The trail takes you through a series of old steps, tunnels and military fortifications that ends at the summit of the crater. Be aware that one set of stairways is particularly steep and long. So definitely hang onto the guardrails particularly when going down. 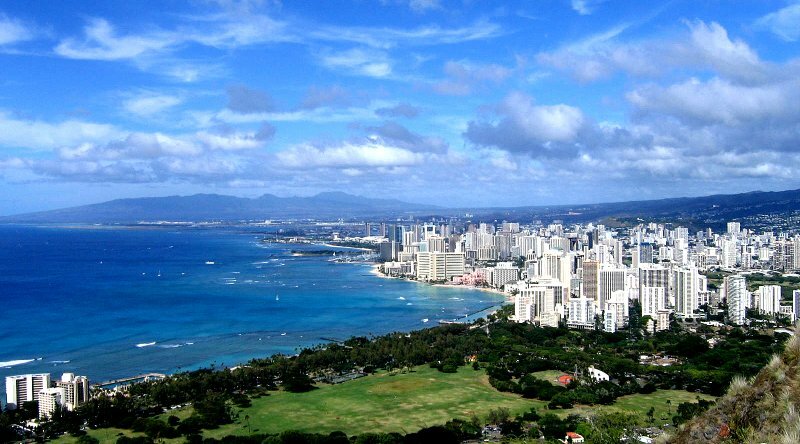 Once you reach the top of the crater, you will be rewarded with breathtaking views of the Waikiki area and beach in the foreground and the rest of Honolulu in the background. It is really something that tourists should definitely see on their Hawaii vacations. It’s now even customary for tourists and locals alike to trek out to the summit before dawn. Here, they can experience the spectacular Hawaiian sunrise. So let Panda Travel ® take you to beautiful Waikiki. 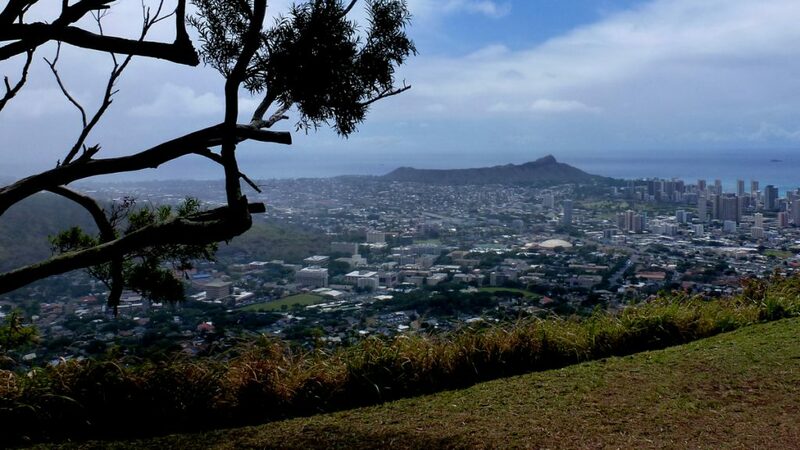 So that you can take this exhilarating, but short, hike up the summit of Diamond Head crater.